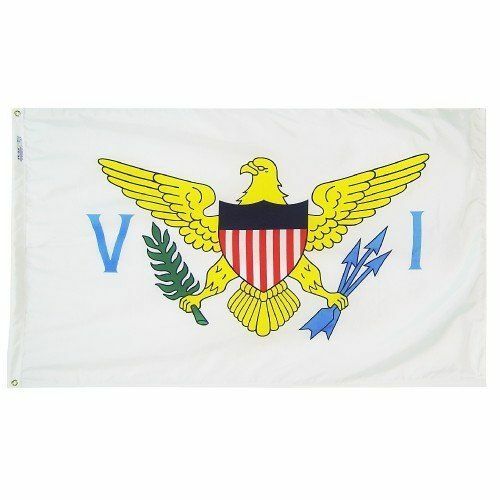 AmericanFlags.com is proud to carry U.S. Virgin Islands Flags in a variety of materials, and styles, in sizes ranging from 4" X 6" to 12' X 18'. 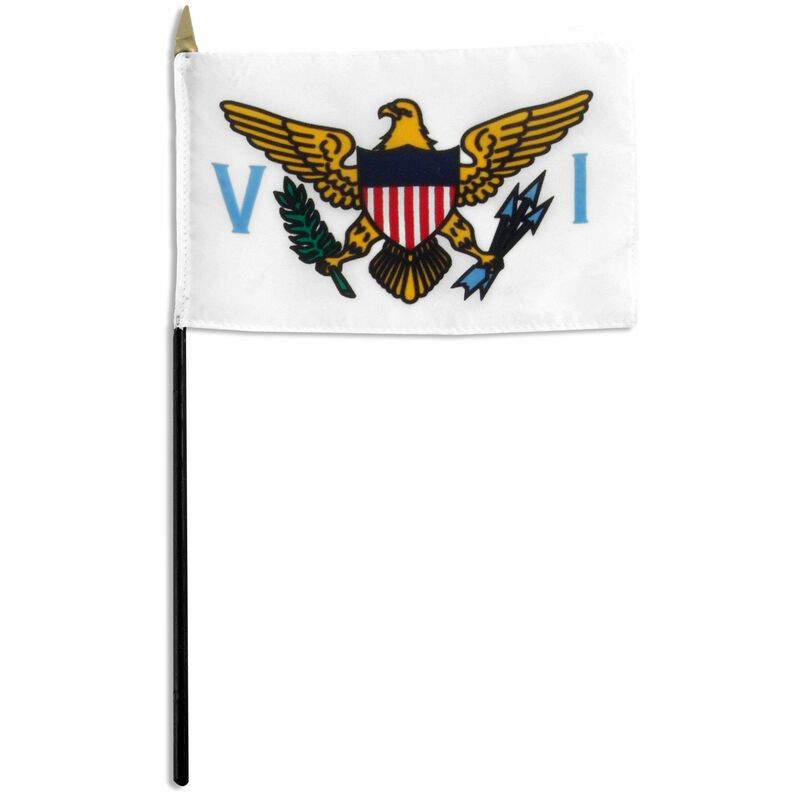 All of our U.S. Virgin Islands flags meet official specifications, are on sale right now and are ready for immediate shipping to your door. 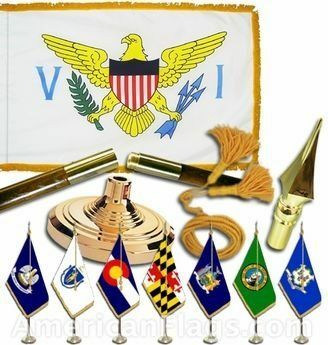 Featuring one eagle claw grasping a trio of arrows, which is symbolic of the territory's three islands, while the other claw holds an olive branch, the flag of the U.S. Virgin Islands also depicts part of the U.S. seal. 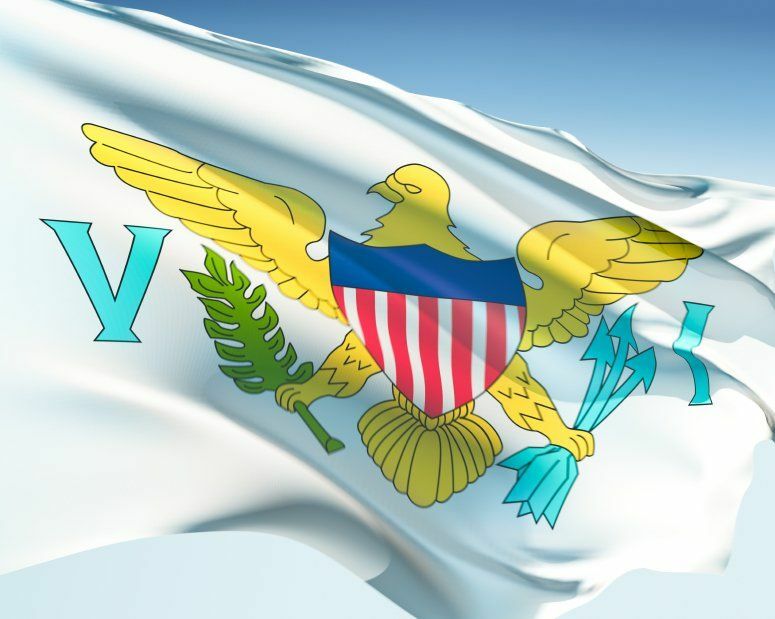 The flag was adopted for official use in 1921.